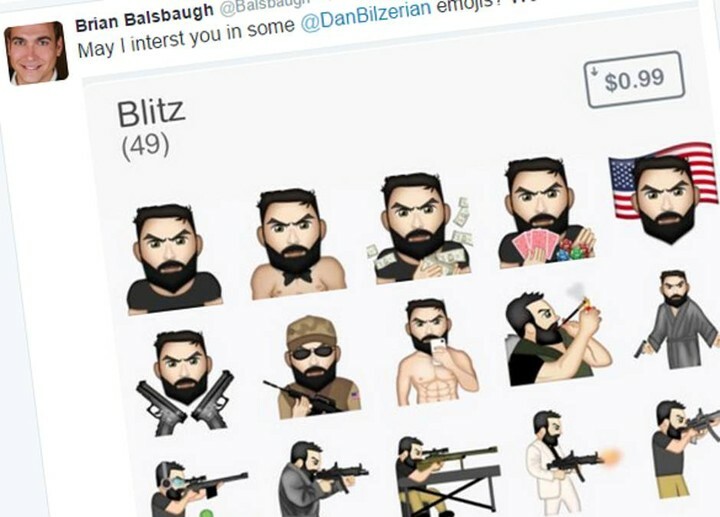 Social media sensation (who is often referred to as a professional poker player) Dan Bilzerian, now has his own set of emojis that you can download and include on your favorite messages. Poker super agent, Brian Balsbaugh discovered the new collection and tweeted a pic of them earlier today. If you are so inclined, you can download a Bilzerian App called The Bilzerian Life and another called The Beard of Dan Bilzerian. The Bilzerian Life app, which at last report made a whopping $20 in profit, is up for public aution. There are also several songs bearing the Bilzerian name in the App Store including, Bilzerian Style and See You in Hell Dan Bilzerian. Now that’s the Balla Life!